A huge thank you to Dev for creating this article on KRS and Kimi for whatsuplife.in! Where does the Female fan stand today in the lofty world of Formula One? It isn’t extremely difficult to understand the space occupied in popular racing culture by the Female fan of Formula one? If you are game for intelligent observations, then you may well find that though the iconic Motorsport world of Formula One has gained lofty acceptance in this part of Asia, it continues to be widely popular and well received where it emerged first: the West, especially in Europe. When you speak of Formula One racing circuits and the featured events in every calendar year, do not be surprised that European race tracks come to fill a staggering one half of the entire F1 contest. Do females stand a chance of acceptance or not. The sport, after all is largely or very completely a male dominated one! To a great degree, the female fans haven’t got their due. Despite being present in large numbers in Hungaroring (Hungarian race circuit in Budapest), at the Yas Marina at Abu Dhabi and the part dangerous and part adrenaline pumping domain of Nurburgring or Hockenheim, both located at Germany, one hasn’t given women supporters of f1 their due share of respect. To understand Formula One’s intricate and dynamic existence it isn’t enough to note the pulse of the action with importance just being accorded to its racing stars. Race drivers are to teams what an isolated sparkling twinkle of a star is to a wide galaxy. Therefore in the galaxy of Formula One, everyone ranging from the race driver, the team engineer, the race engineering crew, the mechanics who painfully change car gears during a pit halt including the engineering entourage of car designers and technical experts, the communication experts and the team’s principal are together responsible for the action. The driver ultimately oozes action and adventure to a script jointly unfurled by genius thinkers. But that is not all. If there would be no fans then who will the teams compete for and drivers race. As one bright girl tell me, “Undoubtedly, it is for the fans. But, fans of Formula One aren’t a lousy bunch who come to stoke their adventure hungry pallets with mindless action. Fans today wish to be as well informed as the team and its owners”. This bright soul I was happy speaking to further shared, ” fans need Statistics, information, comparisons, race analysis, interviews and action that churns out from either a practice session or the events on the main race day”. I was further told, ” Today’s Formula One fans are hungry for real action and starving for information in most minute constructs”. As I began to sink in such intelligent observations, I was drawn to the mind of this sharp observer of F1. As told to me, ” I am a young Formula One die hard follower, someone who clinically bridges the gap between the fan’s demands of the motorsport and its favorite idols and the need for constant F1 related information“. She further added, “you cannot possibly muster all that there is to know about the present 10 contesting teams, but through the progress of 1 particular race driver, you may well go on to record tremendous information that buffers the hungry information consuming stock of an intelligent fan”. I couldn’t agree more with this observation. ”Kimi Raikkonen Space is enjoying its 10th anniversary in 2015 having being brought to life in 2005″, she further added”, and from what was told to me turned out to be an impressive account of one girls’ mad pursuit of her favorite sport. KRS is perhaps the stand-alone definitive guide that helps one understand a truly outstanding and gifted racing driver in the intensely tectonic and often, controversial world of Formula One. Saima, a Londoner born and bred in the UK started following the pinnacle of motorsport when she was only 8. Born to a family of four and hailing originally from Pakistan, ask any Kimi Raikkonen fan out there about the existence of Kimi Raikkonen Space and they would certainly call out one “Even Star Saima’s” name. That is Saima in the digital world for fans and one who for the man himself, Kimi Raikkonen – has made a simple fan blog that began 10 years ago a globally renowned success. Even when she was remotely aware about Raikkonen and his magical exploits, she wrote and researched about the game in its entirety and of its business. In Formula One, a popular added feature to power racing cars contesting with high speeds is a phenomenon called ERS or, the Energy Recovery System. “Just take this concept and power load your information, awareness, knowledge and depth about Kimi Raikkonen, Formula One World Champion of 2007 and chances are you would have understood all there is about the engaging digital platform called Kimi Raikkonen Space”, adds the quirky Saima. Known as the Iceman for possessing a cool and collected character, that stays unhurt or unworried regardless the race situation, Saima Azam’s Kimi Raikkonen Space is more than a mere tribute to Ferrari’s last World Champion. No other man since Kimi has gone on to crown himself with the ultimate prize. The Iceman from Espoo, Finland did it way back in 2007 and this lead to the then fan and now self confessed expert Saima to undertake a colossal new project. The vibrant and intelligent peppy girl set out to create an online space that was everything in detail about one of the most loved characters of Formula One. She has added, designed, edited, conceived, ideated and exhibited a range of wallpapers, statistics, race inputs, analysis and cover shots, that are constantly updated and sequentially arranged as per Raikkonen’s checkered career. Following the game for over 13 years in the wake of Kimi’s legendary success, Saima has now become a household name for fans and the media caldron who do not take ages to recognize the brain child behind the most popular and exciting fan tribute sites in the whole wide world. 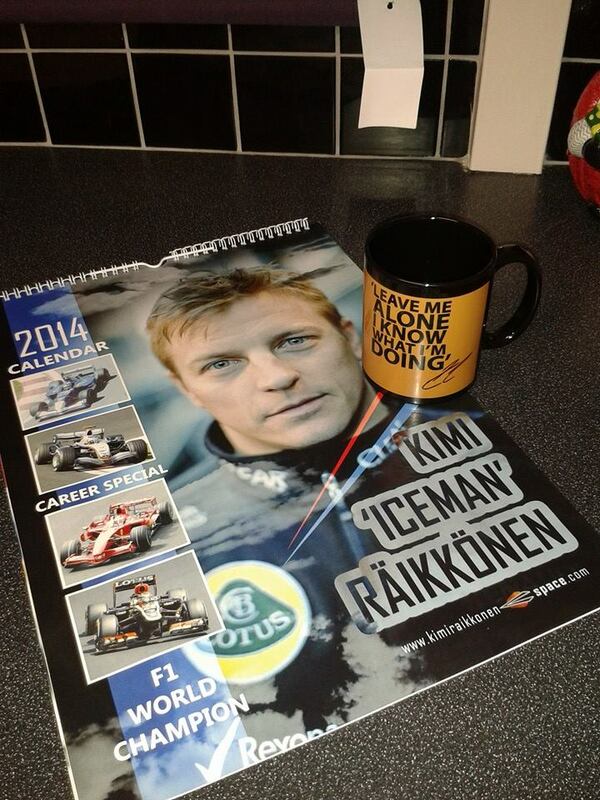 KRS marked flags and stickers, posters and fan cards mark a resounding support for one of F1s truly illustrious stars. Accepting shyly like those million girls who have come to have their heart wrench for Raikkonen’s charming good looks, Saima isn’t an ordinary girl. 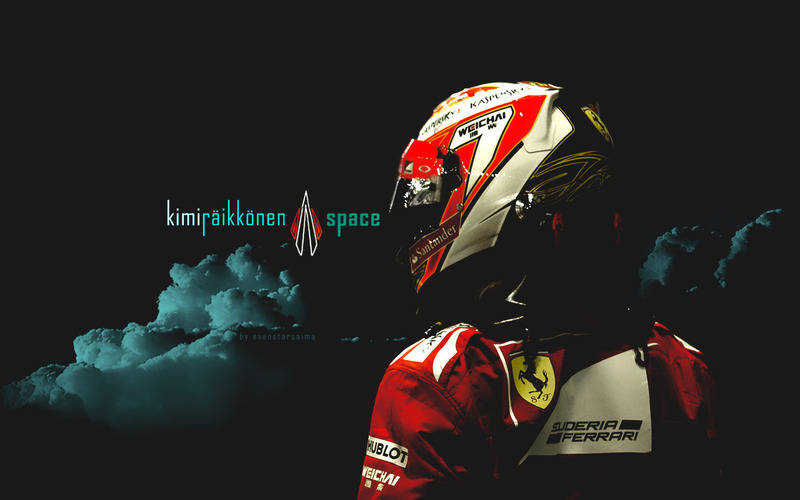 Her creativity in Kimi Raikkonen Space marries an artistic flair to associate the most engaging design ideas with authentic content creation, all for a central purpose- to give his fans who are in millions and across the world unrivalled coverage of every move of the great racing champion. While Kimi revolving tweets tell fans of his arrival at the next big stage of race, postcards, screensavers and race based pictures provide a meaningful landscape about the Iceman’s cool and collected world where there lies immense hunger for his adulation. And, one cannot blame Saima for dedicating her entire life toward the cause of covering Kimi’s mesmeric F1 achievements. In the highly political and diplomatically correct world of Formula One where reputations are made and broken as easily as the preference of team principal’ about a particular driver leaving others out in the cold, there is a huge void of authenticity. The game needs original characters and not pawns who plan their next move as per the wishes of the kings who decide their fortunes. Raikkonen, for one is a world away from this cluttered cacophony of present day F1. He is the most authentic and straight forward guy that there is out on the tracks. In his 14th season in F1, he has come and done what others have failed to do. He holds a massive 42 fastest lap record, the next only to Schumacher. Apart from featuring in 33 consecutive race finishes where he drove home points, he even took a sabbatical from F1 and looked elsewhere to World Rallying Championship at the end of 2009 season. He collected points in an extremely tough competition and came back in 2013 with Lotus after his WRC duel and finished in top 3 in the overall race charts. His speed hasn’t deserted him nor have his fans and he is doing what he does best at the moment- driving for Ferrari, where he won his World Championship and became the media’s darling for succeeding in his very first year with the race outfit. Saima who updates Kimi Raikkonen Space on a daily basis to bring fans to the ethereal world of their sporting icon, remains as hopeful today of Kimi winning the title as she was in 2007 when she began her memorable journey and gave us fans a slice of the Iceman’s life. I recently participated in Shell’s V Power Belgian Grand Prix VIP tickets competition, didn’t win but I made it into their video edit of the event! Congratulations on 10 years of KRS! Hey Kimster! Go well @ Monza!! I used to have fun on my little 500 Moto Guzzi Monza at Killarney (Cape Town) track days, so you just enjoy the REAL THING & do what you do best! 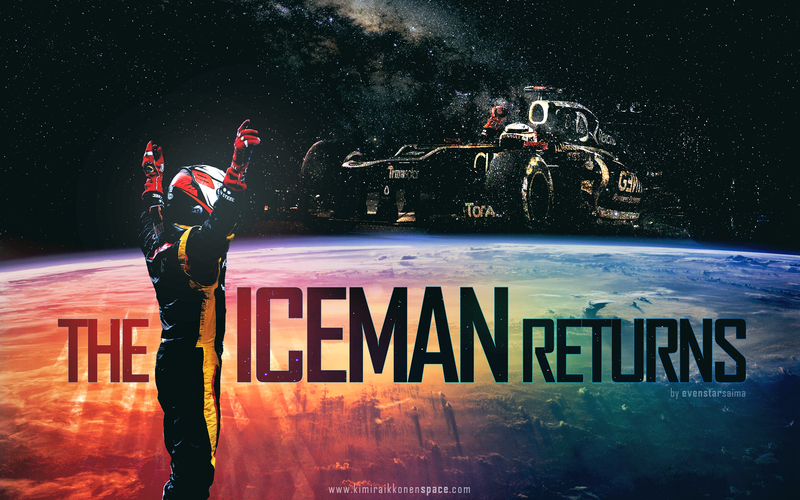 GO ICEMAN!! Saima, You deserve every nice word written by this guy! You are the best!! A really great read and so inspiring how the amount of time and dedication you’ve put in to making KRS has resulted in the success it is today!